Published: Sept. 9, 2013 at 07:46 a.m.
(5:54) (Punt formation) C.Jones punts 34 yards to NYG 23, Center-L.Ladouceur. T.McBride MUFFS catch, RECOVERED by DAL-D.Holloman at NYG 16. The Replay Assistant challenged the kick touched ruling, and the play was Upheld. Published: Sept. 8, 2013 at 10:46 p.m. The Dallas Cowboys recover the football after the New York Giants fumble the football on a punt return attempt. Published: Aug. 17, 2013 at 07:40 p.m. 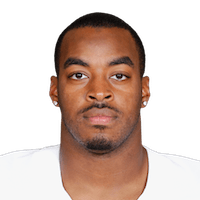 The Arizona Cardinals are stopped short of a second-quarter touchdown when Dallas Cowboys rookie linebacker DeVonte Holloman picks off quarterback Drew Stanton. Published: Aug. 4, 2013 at 09:27 p.m.
Dallas Cowboys rookie linebacker DeVonte Holloman snags an interception and returns it 75 yards for a touchdown against the Miami Dolphins.